Princeton University Press, 9780691123578, 230pp. How have American writers written about jazz, and how has jazz influenced American literature? In Fascinating Rhythm, David Yaffe explores the relationship and interplay between jazz and literature, looking at jazz musicians and the themes literature has garnered from them by appropriating the style, tones, and innovations of jazz, and demonstrating that the poetics of jazz has both been assimilated into, and deeply affected, the development of twentieth-century American literature. 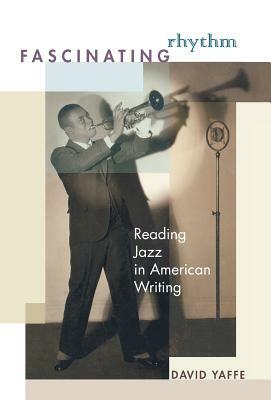 Yaffe explores how Jewish novelists such as Norman Mailer, J. D. Salinger, and Philip Roth engaged issues of racial, ethnic, and American authenticity by way of jazz; how Ralph Ellison's descriptions of Louis Armstrong led to a "neoconservative" movement in contemporary jazz; how poets such as Wallace Stevens, Hart Crane, Langston Hughes, and Frank O'Hara were variously inspired by the music; and how memoirs by Billie Holiday, Charles Mingus, and Miles Davis both reinforced and redeemed the red light origins of jazz. The book confronts the current jazz discourse and shows how poets and novelists can be placed in it--often with problematic results. Fascinating Rhythm stops to listen for the music, demonstrating how jazz continues to speak for the American writer. David Yaffe's writings have appeared in many publications, including the New Republic, The Nation, the New York Times, New York Magazine, the Boston Globe, the Village Voice, Slate, and the Chronicle of Higher Education. He is Assistant Professor of English at Syracuse University.